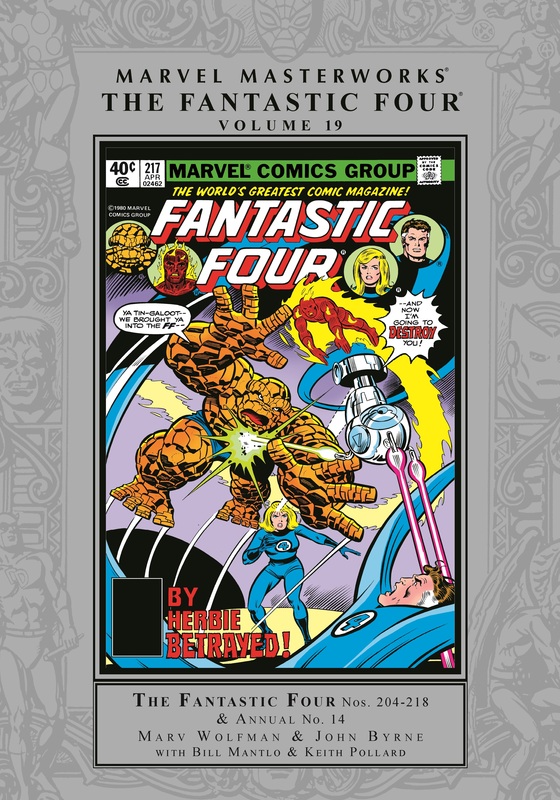 Collects Fantastic Four (1961) #204-218, Annual (1963) #14. 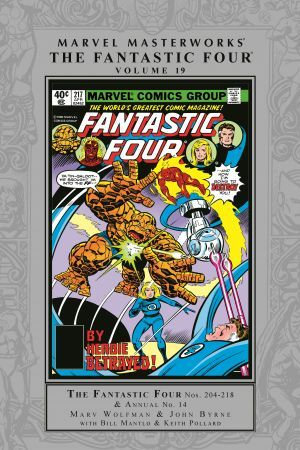 In their latest, greatest Marvel Masterworks, the Fantastic Four confront one of their oldest enemies - the Skrulls! And they'll have to do it as their older selves, after an aging weapon advances them to death's door! 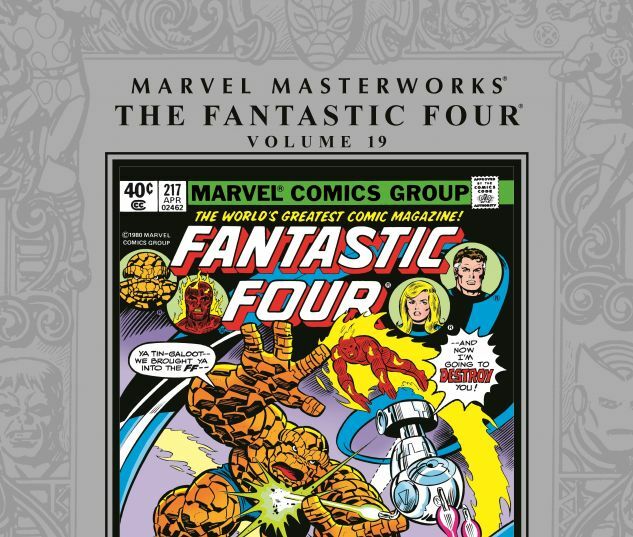 The talents of Marv Wolfman, Keith Pollard and John Byrne - in his FF debut - keep the story feisty, the art spry and the adventure fantastic. How could it not be when the world-devourer Galactus enters the fray with a new herald? As if that weren't enough, the cosmic Sphinx, scheming Monocle, combustible Blastaar, formidable Frightful Four and diabolical Salem's Seven keep the scope epic, the stakes absolute, and you on the edge of your seat! And H.E.R.B.I.E.? He's just keeping it real.